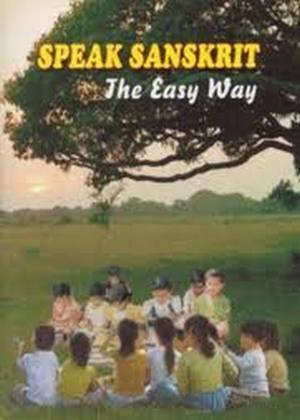 “Speak Sanskrit the Easy Way”, published by Sri Aurobindo Ashram, Pondicherry, is an ideal primer for those who wish to learn to speak Sanskrit. This book is meant for those students who are at least familiar with the Devanagari script. The method introduced here for learning Sanskrit is natural, easy and effective. Extensive use of tables helps to simplify the grammatical complexities in a structural and scientific way. For all words, meanings are provided in English. i want a easy sanskrit short story for my project work. You will find plenty of Sanskrit stories at the following links. I am looking for “Shabda-dhatu-rupavali” to further my efforts in learning Sanskrit. I could not find it by a web search. Any pointers? We have the following books which may be useful to you. Perfect! The second link was exactly what I was looking for. Your comment is not clear. Are you looking for Shad Angas of the Vedas or Agamas? I want to download grahsutras in original form please advise any website for the same. I understand that there is a spoken Sanskrit course at Aurobindo Bhavan, Shakespeare Sarani, Kolkata. I want to get enrolled, but am unable to contact them over phone or email. Can you help me please? My Sanskrit knowledge is rusty and stopped at the school leaving level. I am 72 now. If the Aurobindo Bhavan course is not available, can you please suggest to me the books I should begin with, if I study on my own? Thank you for your great Job. Sir i want to know about astrology book vrihajjataka in Sanskrit with Hindi translation link. I want to know the details of classes/courses conducted by Samskritabharati . and also the centers in Bangalore address and contact no. kindly contact sanskrita bharati at giri nagar bangalore. You can use the following books available online. Samvada Mala by Ramachandra Ratnaparkhi – Smavadamala., 2020010007695. A RAMACHANDRA RATNAPARAKHI. 1959. SANSKRIT. . 198 pgs. First my sincere pranams to you for your prompt response to all questions. I have one question, what would be the best resource or approach to learn Sanskrit ? There are tons of resources and I am kind of lost! where should I start first and get full worth for my effort? Thank you for your incredible service. Murali, I feel that it is best to learn Sanskrit from a teacher directly. If you cannot find a Sanskrit teacher, get in touch with nearest centre of Samskrita Bharati. Just google Samskritabharati and you will find their website. hello, i want to learn sanskrit through hindi, pls suggest me related pdf and site. Rolly Mishra, Giving below link to Raghuvamsa with English translation by Nadargikar. I have rectified the link. You can read the book online now. Please suggest for best Sanskrit learning books. i have learning & writing Sanskrit.